Conference will begin with pre-conference session on Saturday, July 27 with the opening reception that evening. The opening day keynote is the morning of Sunday, July 28. Conference sessions end at 5 p.m. on Tuesday, July 30 with several post-conference sessions and tours on Wednesday, July 31. More program details will be available soon but you can reserve rooms at the host hotel, the Hyatt Regency Grand Cypress today. A student housing option is being confirmed. If you are interested in reviewing conference abstracts, please complete this survey. As the number of published articles continues to increase each year, so do the number of fraudulent studies. In fact, the number of retractions in the biomedical literature increased from 467 in 2013 to 684 in 2015 (source: https://www.vox.com/2016/3/24/11299102/scientific-retractions-are-on-the-rise). Fortunately, there are tools available for editors (and reviewers) to help them handle ethically questionable manuscripts at the time of submission or post publication. This webinar provides an overview of two free resources available to editors (and reviewers) to help handle publishing ethics allegations - the Committee on Publishing Ethics (COPE) and the Publishing Ethics Resource Kit (PERK). This webinar is sponsored by the Journal of Nutrition Education and Behavior. Jason Winkler is a Senior Publisher for Elsevier. In this role, he oversees a portfolio of journals in nutrition, dermatology and long-term care. 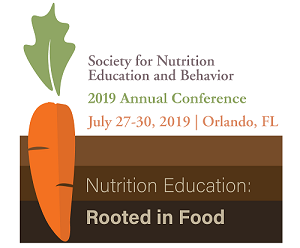 Join us for a discussion on the Society's latest position paper, The Importance of Including Environmental Sustainability in Dietary Guidance published in the Journal of Nutrition Education and Behavior. Lead author Dr. Diego Rose, Tulane University, will facilitate a discussion on recommendations, next steps, and future opportunities within SNEB as it relates to dietary guidance on environmental sustainability. The session will be moderated by SNEB Present-Elect Jennifer Wilkins, PhD, RD, Syracuse University. Check out the latest JNEB collection of articles related to sustainability here. Registration for the 2019 Art & Science of Health Promotion Conference is now open! This year, the event takes place April 1-5 at the Marriott Hilton Head Island Resort, Hilton Head Island, South Carolina. Learn more about the event and register here. 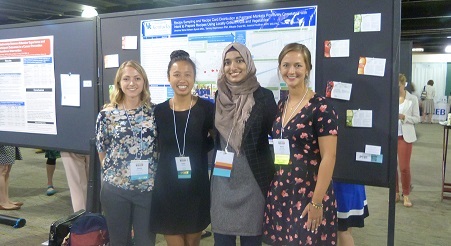 NIH ODS Dietary Supplement Research Practicum: Apply now to attend!